With a location between Siena and Florence, Monteriggioni is a medieval fortress town that played a pivotal part in the country’s history. 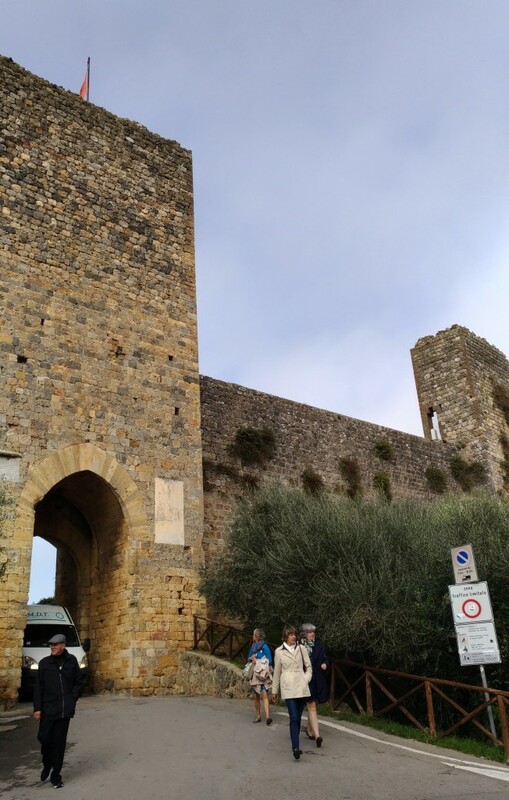 After all, since it’s perched on top of a hill, Monteriggioni was unconquerable; it was at the front lines in the wars between the two former republics. And it was so iconic that its walls and turrets were even mentioned by Dante in The Divine Comedy. Today, Monteriggioni is a popular stop among tourists journeying from Siena to Florence. But even in these more peaceful times, this town inside a castle is still a must-visit for the taste of the past. Learn more about it in this guide. It’s the first thing you’d see of Monteriggioni from afar—the formidable walls and towers that have defended the town for centuries. These walls, which were all built during medieval times, also offer an obstructed view of the surrounding countryside. And no, you don’t need to scale the walls just to get to the top—you can easily climb up the walls from the inside of town. Entrance fee of EUR 3, inclusive of entrance to the Museo delle Armature. When entering Monteriggioni, the town’s Piazza Roma is the first thing that will greet you—a simple open space with a well in the middle. Yet this space is also where some of the town’s restaurants set up al fresco dining spaces and is where some events are held. That said, to the left of the piazza is the Church of Santa Maria, which dates back to the thirteenth century. Featuring a simple Romanesque-Gothic design, the church was once the headquarters of a canonical community. It still receives pilgrims up to this day. Housed in the same building as the town’s tourism office, the museum details the history of Monteriggioni and the warriors who lived there. As a bonus, you can even try wearing some chain mail in this museum. 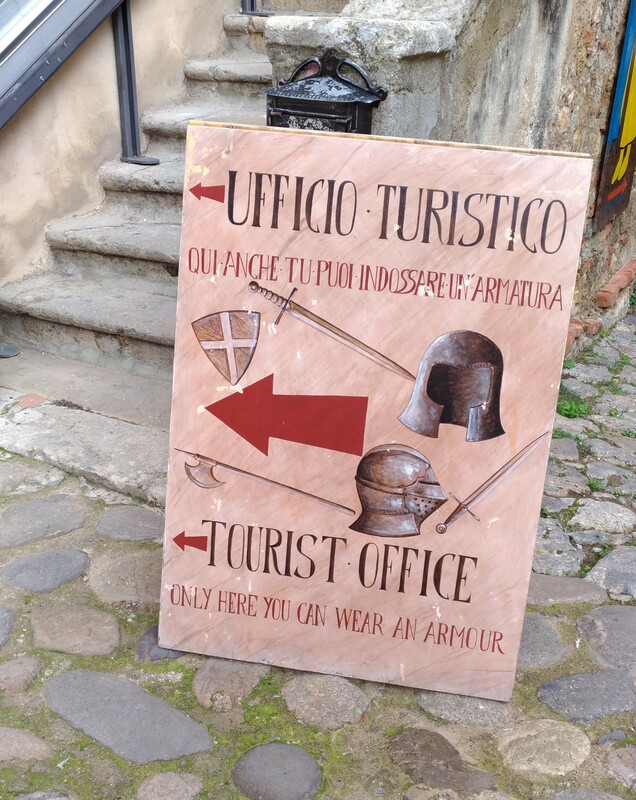 Entrance fee of EUR 3, inclusive of entrance to the city walls/ramparts. This little museum, housed in a building facing the piazza, aims to dispel the myths surrounding the controversial order of knights. It features interesting displays about the knights, from the establishment of the order to its eventual suppression. Free entrance. The festival, which comes from the way the poet Dante described the town in The Divine Comedy, showcases performances, arts, and food from those bygone days. Many of the townspeople are also dressed in period attire on those dates. It’s definitely the closest you’ll come to the medieval era without stepping inside a time machine. There are numerous small shops and restaurants around Monteriggioni, many of them near the Piazza. Some products on sale include leather goods, wine, and home furnishings. Perfect for unique souvenirs! To get to Monteriggioni, simply take a bus from nearby cities such as Florence, Pisa, Siena, and Volterra. You can also drive to the town, but you’ll need to leave your car at the parking lot on the side of the hill. Vehicles are not allowed inside the town proper. Wear comfortable shoes. With no vehicles allowed inside the castle grounds, plus some parts of the town sloping up or down, you’ll need something you can walk in comfortably. 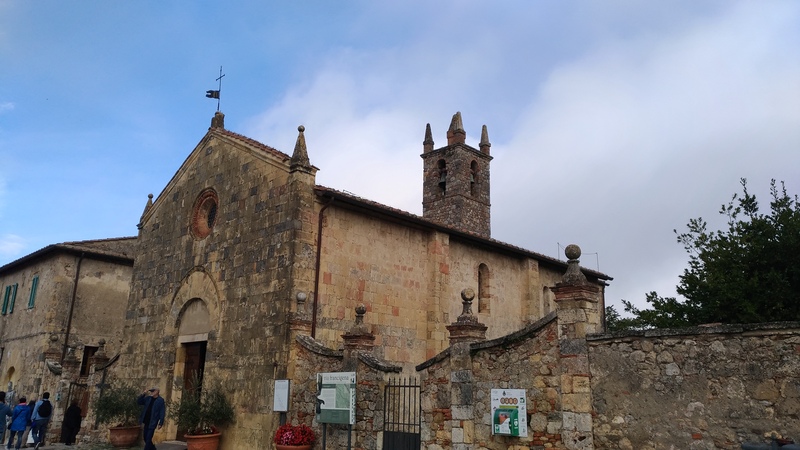 Due to the town’s small size—you can explore all of it in a few hours—accommodation in Monteriggioni are mostly of the bed-and-breakfast type. If you want a stay in a grand hotel, better to stay in Florence instead. 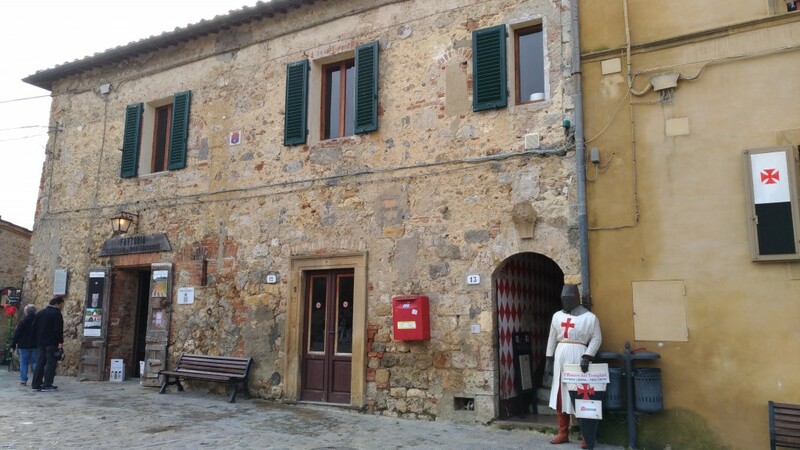 If you need more information or assistance, simply visit the Monteriggioni Tourism Office, which is just beside the church, near Piazza Roma.